Sport Injures / Muscle Tension Release? Time to think about Trigger Point Dry Needling Therapy. At Hobart Float Spa, our therapist provides you a medically therapeutic massage, for those who suffered from aches and chronic pains. Dry Needling is like a reset button for your muscles. The therapists can identify these ‘knots’ or ‘trigger points’ and can use dry needling to help restore the muscles to its normal length. 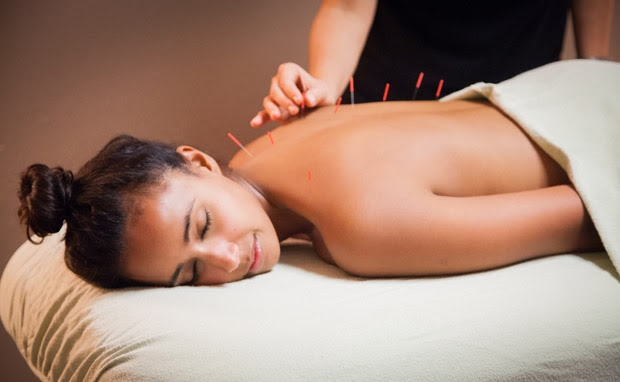 The use of Dry needling for muscle / fibromaylgia pain and sports injuries can be an effective treatment methods for the management of chronic and acute pain, to cure or restore stressed/injured muscle, soft tissue, ligaments and tendons to its pre-injury condition and to lessen and slow the effect of the deterioration/aging. Dry needling leads to many of the same results as massage, but at a deeper level. For a patient that has experienced results with massage, but found them to be short-lived, dry needling may be a good option. It can also complement massage therapy.